Virgil, a disillusioned, late twenty-something romantic idealist has finally found true Love only to have it snatched away from him and is forced to undergo his own modern day odyssey to get it back. Rolling with Virgil is a Music Film about the grey areas between Love, fixation, and possession, and the extreme lengths to which the effects of these grey areas can push people. Virgil is a man pursuing his version of true Love in the streets of New York City and eventually across the continent. Simultaneously dark, funny, tragic, and inspiring, this film is, on the surface, a collection of music videos chronicling Virgil's odyssey. At a deeper level, it's a collaborative effort of emerging artists across various disciplines, from filmmaking, to music, to dance, and others. It embodies a passion for an idea inspired in the writer, Conrad Shaw, by the underground NYC band The Dirty Urchins to tell a story in a way that stories haven't been told. It challenges concepts of what Love is and what a film can be. It is a hybrid of genres we're calling a Music Film. Music Film: A postmodern cross between a silent film and a series of music videos; a dramatic narrative that tells its story using only music and lyrics along with the visual action. This means that there is essentially no dialogue in the film, save a couple of exceptions, since rules, even when self-imposed, were made to be broken. live action SEQUENCE - "DREAM WITH ME"
We shot this in the summer of 2014 on a restricted budget, and it has helped greatly in raising the funds for the feature. It is the second scene in the film, a dream sequence, and it sets up Virgil's mindset heading into the twists and turns ahead. ANIMATED STORYBOARD - "My Baby rides the subway"
This depicts another early scene from the film, in which Virgil pursues April, the girl of his dreams. Here's a taste of the The Dirty Urchins--a live version of the film's title song "Rolling with Virgil" from their album, Late as Usual. About half the soundtrack will be from this album and most of the rest will be from Romance and Apocalypse with a couple bonus tracks thrown in. 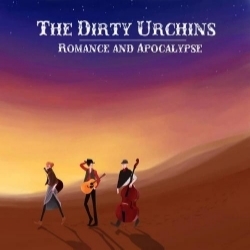 The Dirty Urchins are perhaps best described as an underground contemporary folk band from New York City, though sometimes they will surprise you with jazz, blues, or even a passionate tango number. 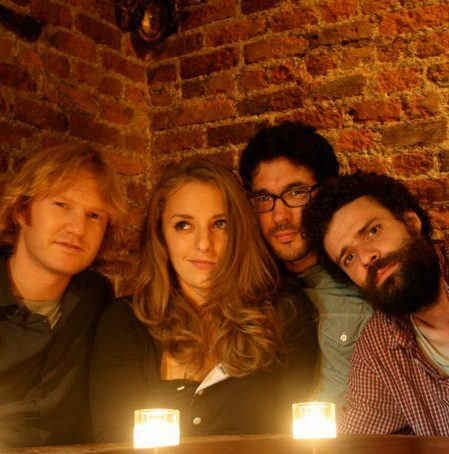 Comprised of Freddie Stevenson, Julia Haltigan, Bennett Miller, and David Luther, they bring an incredible poetry and versatility to their music. Each member is a talented singer-songwriter in his or her own right, with a wildly different voice, and the nature of the group allows each of their unique styles to shine through as the other members support in three part harmony. Legend holds that in their early beginnings, before Julia had joined the band, Bennett, David, and Freddie emerged from a subway busking session, exhausted, filthy, more rehearsed than they were going in, and very slightly better off financially. Looking at his companions, Freddie remarked in his charming British accent (paraphrasing): "We certainly resemble a tribe of Dirty Urchins at the moment," and the band was born. A super group of sorts, they each nurture their growing solo careers while saving time to get back together with old friends to create and perform. It is this collaborative spirit that has in large part inspired the nature of this film: different arts and industries coming together to create. Matt Landin is a director, writer, and award-winning editor from New York. Beginning his career in 2006 at HBO, where he created on-air and new-media promotional content, Matt then went on to shoot and direct various short-form narrative and documentary films. 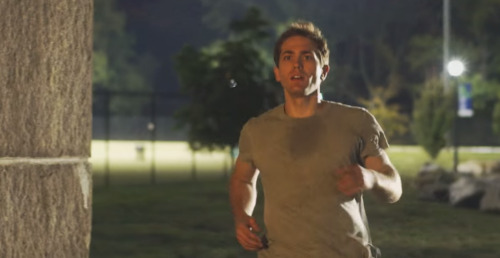 In 2008, Matt directed his first feature film, The Best Laid Plans, a coming-of-age comedy. One of the first features to be fully shot on a RED, the production taught Matt a great deal about marrying the potential efficiencies of the ever-changing digital filmmaking world with traditional, full-crew production. Since then, Matt has continued to explore the world of short form, directing several music videos and short narrative pieces, while being heavily involved in the world of advertising and promotion. He has directed and edited content for BET and Al Jazeera America among others. Outside of all things cinema, Matt enjoys jumping out of planes, climbing cliffs, and surfing in Indonesia, while also having love for all the good food, good drink, and good people this world has to offer. Raised in Colorado, Conrad left a career in engineering eight years ago to follow his passion of film-making. He is a New York-based film and stage actor and screenwriter, a graduate of the two-year Meisner training program at the William Esper Studio. Conrad also spent a large part of his youth as a fiercely competitive athlete in wrestling, soccer, rock climbing, acrobatics, and trail running, among others. He plays the piano and sings a decent tenor as well. He is unbelievably excited to see this project, which has consumed his attention/obsession for a few years, garnering interest and coming to fruition! With top agency management relationships, Adrienne Stern is known for working closely with directors and producers to secure the types of casts that open doors to major film festivals and distribution packages. Her films have premiered at Sundance, Toronto, Cannes, Tribeca, Berlin, South by Southwest, Seattle, and many other prominent film festivals, many taking home prestigious awards. Adrienne's television credits include the New York casting for That 70's Show, where she was responsible for casting Ashton Kutcher, and recently Welcome to Greenpoint for FX. Ms. Stern has also worked on various commercials. Also experienced in production, Adrienne's Producer credits include This Revolution (Rosario Dawson) and Twist (Nick Stahl). Name talent that Adrienne has cast include Ryan Gosling, Zoe Saldana, Matthew McConaughey, Rosario Dawson, Elizabeth Banks, John Turturro, Melissa Leo, Ryan Kwanten, Parker Posey, Peter Facinelli, Gretchen Mol, Kevin Dillon, Mary-Louise Parker, Justin Theroux, Tina Fey, Chazz Palminteri, Andie MacDowell, Jeffrey Tambor, Martin Landau, Beau Garret, Peter Stomare, Alan Dale, Alexa Davalos, Danny Glover, Ellen Burstyn, Alan Arkin, Sally Kirkland, Michelle Trachtenberg, Christy Carlson Romano, Jim Gaffigan, Amy Poehler, Nick Stahl, Alexis Dziena, Victor Rasuk, Mira Sorvino, Brian Geraghty, Piper Perabo, Robert Englund, Jonathan Silverman, Joey Fatone, Ron Perlman, Carla Gugino, David Boreanaz, Stella Maeve, Michael McKean, Jamie-Lynn Sigler, Kristoffer Polaha, Rebecca Mader, Seth Meyers, Linda Hamilton, David Strathairn, Emily Deschanel, Vincent Gallo, Michael Madsen, William Forsythe, Peter Greene, Billy Zane, Matthew Modine, Gina Gershon, Edward Furlong, Kip Pardue, Fred Armisen, Darrell Hammond, Mary Stuart Masterson, Mischa Barton, Jodelle Ferland, Cuba Gooding Jr., Nikki Blonsky, Dana Delany, Danny Aiello, Paul Sorvino, Alexandra Daddario, Vincent Pastore, Natasha Lyonne, William Baldwin, Beau Bridges, Lili Taylor, Michael Imperioli, and Heather Graham. Joseph Bearese is a Cinematographer based in New York City. He's had short films in Cannes Short Corner, music videos on VH1 and BET, and two star-filled features under his belt (Snapshot and Scavenger Killers). Joseph has managed to avoid getting pigeonholed, keeping busy in all flavors of the art form - commercial, fashion, documentary, corporate, music, short, and feature narrative - all while making time for the occasional appearance as a Director/DP. Some of his recent work includes the critically acclaimed web series "Psychodrama the Series" and the fun viral hit "Shame of Thrones." Narrative feature films are what lured him into the business, and the prospect of another is what keeps him going. Joseph is currently represented by CSP Management, a division of Citizen Skull. Here are Joseph's IMDB Page and his Cinematography Reel. He has been listed annually as a "Super Lawyer" in the field of Entertainment and Sports, since the 2006 edition of "Super Lawyers/New York Metro Edition", ranking him among the top 5% of attorneys in New York State. According to the magazine, this selection was based on an independent survey of 59,000 lawyers and an evaluation by a "blue ribbon panel of preeminent peers" in each area of practice. Also, Research and Markets listed him as one of the top lawyers in Entertainment Law, Settlements and Negotiations, and he was cited in The Wrap online magazine as one of "21 Great Thinkers of Indie Film." Steven regularly attends major film festivals -- including Cannes, Sundance, South by Southwest and Tribeca -- where he has negotiated distribution rights deals for many independent films . He also has acted as executive producer for independent films, in addition to acting as distribution counsel. He frequently writes and lectures about issues related to film finance production and distribution. In 2012, his article "The New Renaissance Paradigm - A Break-through Time For Artists" was published in the inaugural edition of the Berkeley Journal of Entertainment and Sports Law and his article "Life After Sundance: Distribution and Marketing for the 99 Percent" was published in Indiewire. Each January at the Sundance Film Festival, in conjunction with the New York State Film Office, Steven programs and moderates panels for filmmakers, producers and financiers. Before joining FWRV, Steven practiced as a shareholder with Greenberg Traurig, LLP from 2003-2012, and was a founding partner of Rudolph & Beer. LLP where he practiced from 1993-2003. Steven received his B.A. with Honors from Washington University in St. Louis in 1981. After working as a Legislative Assistant to United States Senator Arlen Specter from 1981-1983, Steven received his J.D. from The Villanova University School of Law, in 1986 where he was named to the Villanova Law Review. Zang at work, laying out his looks for a runway show. Zang is an icon in the fashion industry and a friend of the project. The inspiration for the character Ferdinand, he will add his own personal flair and genius to the project by creating the real-life dress and fashion sketch that Ferdinand creates in the film. His styles range from urban and chic daily wear to stunning and luxurious gowns fit for foreign royalty.